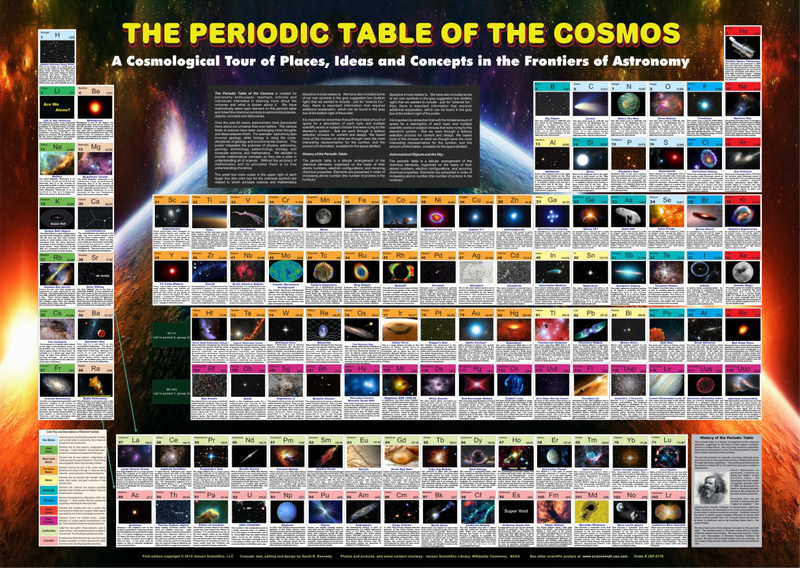 Using the symbols on the periodic table is a great way to serve as a tour guide for exploring the cosmos. This method helps us to better understand the diversity of the objects, stars, constellations, and discoveries made about our fascinating universe. 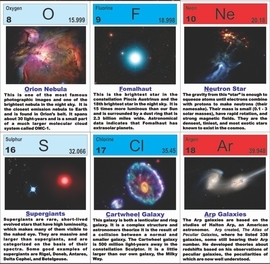 There is an underlying idea as well, as each and every element on this table was born from stars, with the exception of hydrogen, the first element. The stuff that has become "us" came from the chemical soup of stars long passed. 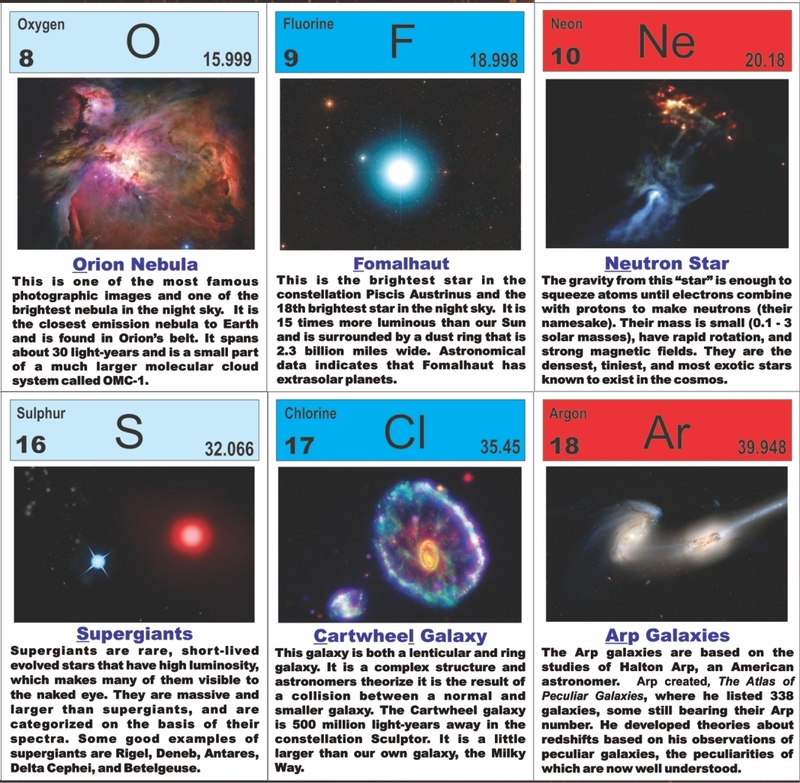 The poster links the element’s chemical symbol to such topics as: Big Dipper, the Moon, Hypergiants, Red Dwarfs, the Pacman Nebula and more! This colorful wall display will be engaging for hours as our incredible cosmos is explored through fascinating images and easily understood descriptions. Researched, produced and developed by Jensan Scientifics LLC with Sarah Kennedy, science photojournalist, graphic designer and renown scientific new products developer. 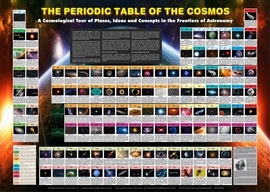 This laminated poster measures 26” W X 38” L. It comes with a 2-sided information sheet that includes additional information, with questions and answers about the poster. Free Mars Facsimile Soil Information Card included!